Keep your hands warm and your fingertips free! Choose your style, long or short, scales or no scales. We'll even give you a handy button to keep your pair together! Plain or dragonscale, long or short. Choose from our stock or choose your colors and we'll make them for you. We sell out quickly (seriously...we rarely have more than one or two pair in stock), so order now. Or mermaid-scale gloves. However you call them, they are our most popular style. 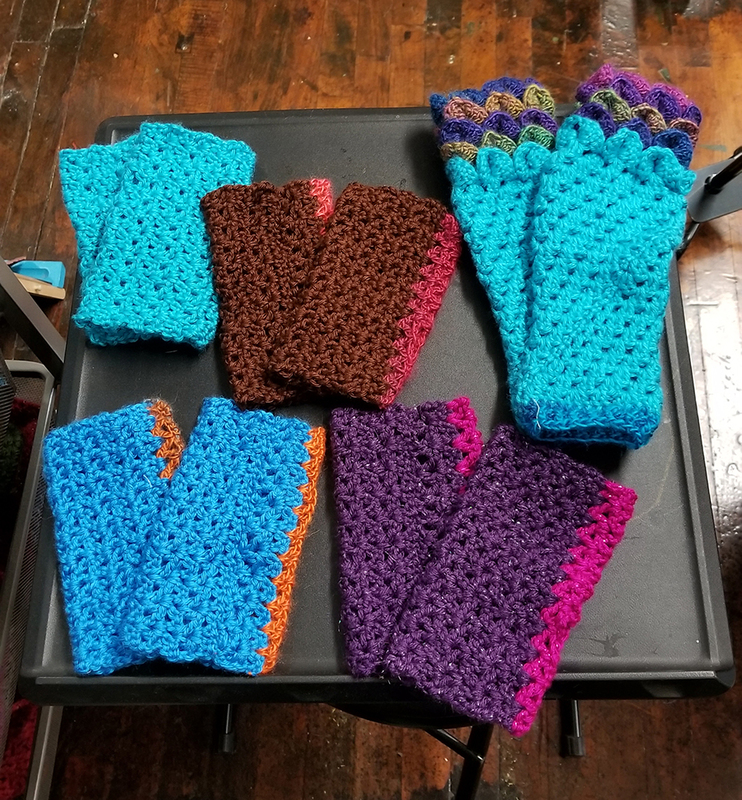 Available in 9" or 12" lengths, these stunning gloves are warm and washable. They fit average adults hands and arms and can be ordered larger or smaller at no additional cost. Order now. These sell out fast and we rarely have more than a few in stock. No additional cost to choose your colors. We love special orders. 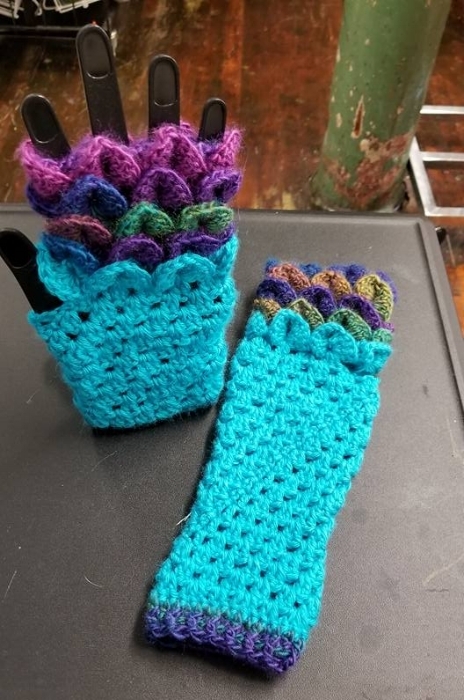 A customer provided us with this beautiful yarn...we presented her with dragonscale gloves! These are about 6" long with a thumbhole placed so that you can wear the long side to cover more of your fingers or more of your wrists. They fit average adult hands and can be ordered larger or smaller at no additional cost. Wool-free unless special ordered.